A is also for “alphabetical order,” which is how Planisphere is arranged. This suggests that one can read it in any order, that it is a guidebook made for browsing, for easy access. But a guidebook to what? “B” is also for my brain which, upon thinking of these examples, hatched the following thought: “B” is for Bloom (Harold) who has been a long-time champion of Ashbery’s work and whose famous theory of poetic influence relies heavily on a concept of belatedness—that post-Enlightenment poets inevitably find themselves in an intractable predicament in which they perceive that everything worth writing has already been written. But “B” is also for my brain again, which remembers skeptically considering a review of Girls on the Run (1999) which suggested that the figure of the Principal was Harold Bloom. from day one, but by then dispatches hardly mattered. correct attitude sketched on the gaslit air, night’s friendly takeover. will be a scorcher. Some say. G is for “google,” which might help in reading Planisphere. Or, at the very least, it might provide an amusing distraction. I is for “interpretation,” which is a notoriously tricky issue when dealing with Ashbery’s work. On the one hand, one often finds himself or herself at a loss as far as what Ashbery is actually talking about—I mean, what can we do with a sentence like “Next, schoolboys’ pants, / olive gesture, are so”? On the other hand, it can be, at times, so easy (perhaps too easy) to allegorize his writing, to find meta-poetic explanations, to find allusions to the literary. For example, the passage from “Boundary Issues” that I cited earlier offers a rich critical bounty: surely we can get a lot of mileage from analyzing surprising figures like the almost Dalí-esque image of the “curving abacus” and the simile “like we were papyri” brings together material textuality and the body in an interesting way. And the key term “camaraderie” is almost begging for a discussion on Whitman. But these days, I’m of the opinion that the value of an Ashbery poem lies not within any specific content per se but in the way it activates and primes the hermeneutic mind. Psychology researchers at the University of British Columbia have found that test subjects who read an adapted version of Kafka’s “The Country Doctor” could identify more hidden patterns in letter strings compared to subjects who read a version of the short story that was altered to make more conventional sense. According to researcher Travis Proulx, “when you’re exposed to a meaning threat––something that fundamentally does not make sense––your brain is going to respond by looking for some other kind of structure within your environment” and it thus is “motivated to learn new patterns.” What does this have to do with Ashbery? I’m tempted to argue—but I won’t and, if so, only by way of paraleipsis—that reading Ashbery and grappling with his “meaning threats” can help recalibrate our minds so we can better navigate the clamor and confusion of our contemporary reality. J is for the jitterbug, for the Jack of Diamonds, for je ne sais quoi. “J” is for January. And “J,” of course, is for John. i’ve been wanting to pick this up. i haven’t read ashbery in a long time. i really like the cover design. Yeah, the design is really cool, isn’t it? 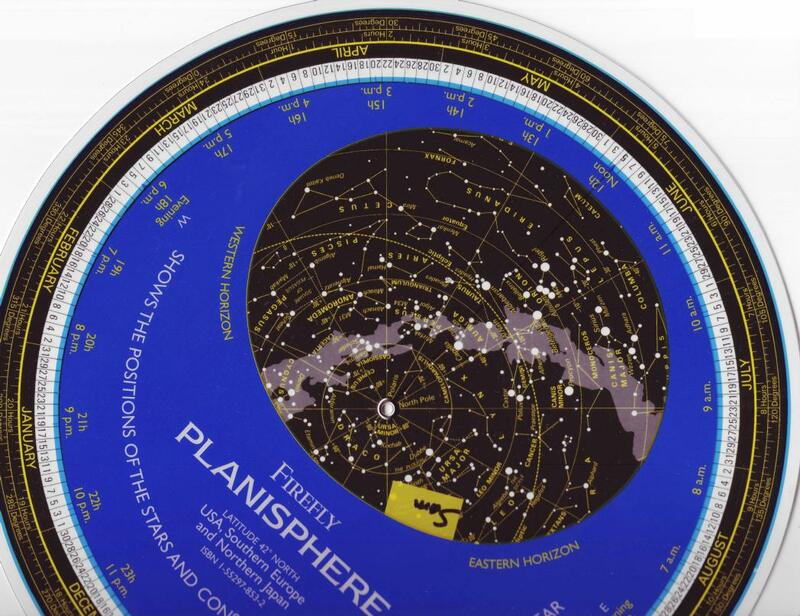 Definitely, the cover of _Planisphere_ is a lot snazzier than the covers of _A Worldly Country_ (2007) or _Where Shall I Wander_ (2005)–both are also from Ecco. 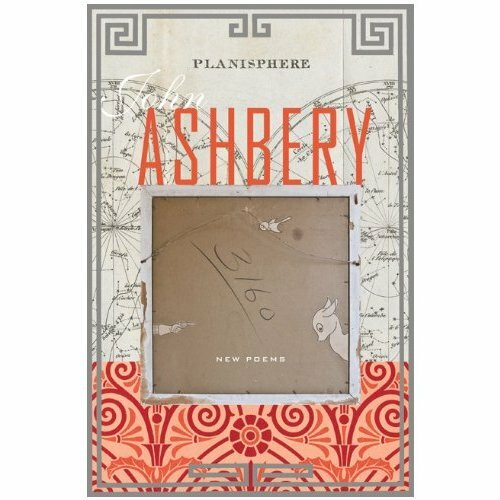 But if you haven’t read Ashbery in a while, I would check out those two before _Planisphere_; I think they have a bit more fluency and verve… But–actually–why not read them all? I think with late Ashbery you can dip in and out of him easily. Hey, I enjoyed how you used indexing as a mirroring frame; it has your characteristic humor. And I think your describing Asbery’s best poems as “unfurl[ing] with a melodic discursiveness and a freshness of diction, that include surprising turns of thought and phrase,” is apt. Makes me want to go back and finish reading his Collected Poems, 1956-1987 (Library of America). I think, as far as I know, I reached as far as As We Know. “I’m tempted to argue—but I won’t and, if so, only by way of paraleipsis—that reading Ashbery and grappling with his ‘meaning threats’ can help recalibrate our minds so we can better navigate the clamor and confusion of our contemporary reality. But I can understand how expanding on it would prove a vast undertaking. Oh, have you seen this satirical take on how Ashbery writes poetry? Hey, John– thanks for the comments! Yeah, that statement begs some questions, doesn’t it? Well, I think reading Ashbery’s poetry opens up certain channels of awareness, that it puts the brain in a particularly helpful and creative state. I think the risk is definitely there and it’s one that should be taken seriously, but all of those activities listed (finding music in static, demonstrating ingenuity of interpretation, etc) sound like pretty positive things to me. “Making it all up” can be beneficial– I mean there is something to be said of writing that will elicit creative responses (like Christopher Robinson’s at Flatmancrooked– I loved that Machine, by the way). I guess I want to suggest that Ashbery’s work urges us to creatively respond to our environment–no matter how random or static-filled it may seem.